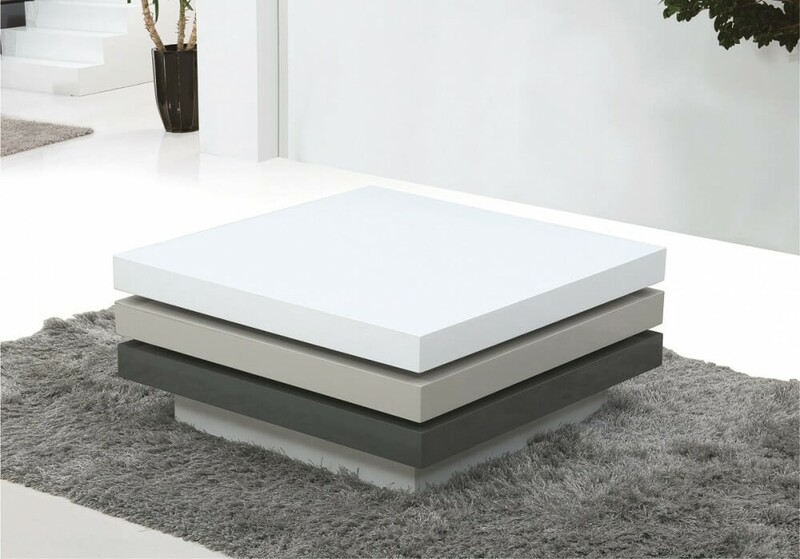 Inspired by one of our best selling coffee tables, the 122 modern coffee table is a gorgeous integration of white, light grey, and dark grey lacquer. Made with fine craftsmanship , this coffee table features two manually adjustable levels that swivel 360 degrees. W31.5" x D31.5" x H14.3"